Vaughan Jones has since 2001 been a partner in Burnetts’ corporate and commercial law department, having previously been with Eversheds in Newcastle, where he was a partner for over ten years. In 2015, he was elected Partnership Chairman. 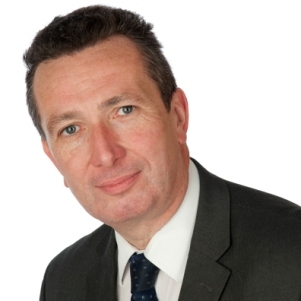 Vaughan qualified from Newcastle University with a Solicitor LLB qualification in 1986, meaning he has over 30 years of experience. 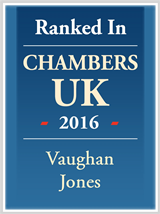 Vaughan’s area of specialism is commercial and corporate work both in the United Kingdom and overseas. He has drafted and negotiated a wide range of domestic and international agreements, including joint venture and project agreements and terms relating to finance. He also regularly advises on the duties and obligations of directors of limited companies, both under company constitutions and the general law. Vaughan has also drafted and negotiated a wide range of constitutional documents including shareholders’ agreements and Articles of Association. In the commercial sector, Vaughan has advised digital-based and manufacturing businesses across the north of England on supply, distribution, licensing and other commercial agreements. Also a heavyweight in education law, Vaughan is a key adviser to further and higher education clients on issues surrounding joint ventures and project agreements. He has also advised on two university mergers and acted as company secretary for wholly-owned subsidiaries of education clients. A regular public speaker on issues of commercial law, Vaughan has spoken not only across the North but also at national and international conferences.